Cats, dogs and other pets are often well cared for by their owners; it’s the meat industry animals, like cattle and pigs, that really seem to need our attention. Groups like PETA are well-known for their way of getting this message across with disturbing imagery and an agenda chock full of public antics. Other activists, like this man, have taken a slightly more productive route. 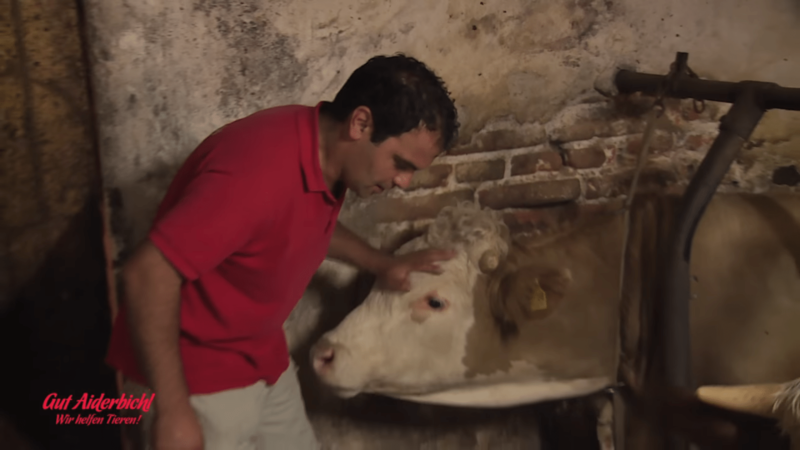 Published in August of 2014 on Gut Aiderbichl, a German YouTube channel, the following video shows the unadulterated joy of a bull named Bandit after he is released from a tiny, steel pen where he has been confined for his entire life. According to studies. cattle and dairy cows are a lot more sensitive than we had thought. 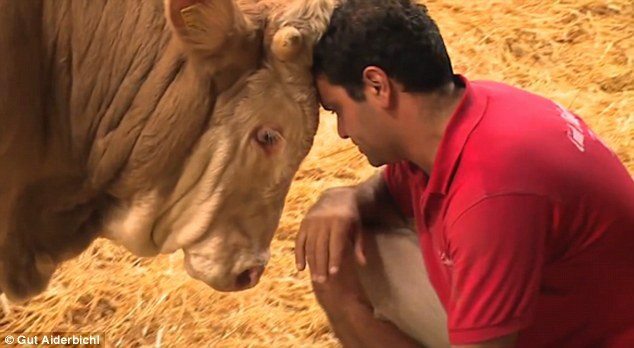 In 2014, Daniel Weary, a professor in the Animal Welfare Program at the University of British Columbia in Canada, actually showed that cows’ brains can be permanently altered as a result of early life trauma. Weary has additionally proven that cows housed in isolation— like Bandit— show increased anxiety and don’t perform as well on psychological tests. 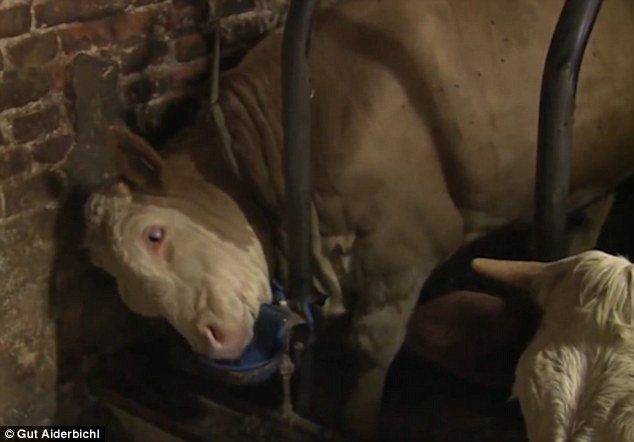 This is worth mentioning because, to me, it shows that this poor little bull knew exactly what was happening to him and likely spent every single one of his days in pure and complete misery. Unlike millions of others though, he was lucky enough to get a brand new lease on life. In the video, viewed more than 28.2 MILLION times, you see a sanctuary worker driving a truck to the miserable building where Bandit is being housed. When the man enters, Bandit immediately meets his eyes and starts to softly lick his hand. 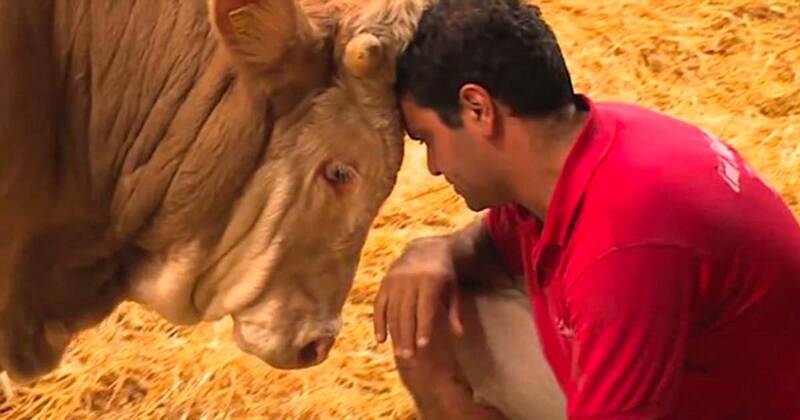 The man can’t just walk away, so he decides to take the bull with him. When Bandit is released, experiencing freedom for the very first time, he joyously bucks his legs with energy, and you can tell he’s been revitalized. After his frolicking, Bandit is loaded up into a truck and brought to a new home. There, he continues to explore, finally getting up close to thank his rescuer for himself. As mentioned, this video has gotten more than 28 MILLION views on YouTube— and after seeing it for myself, I can definitely understand why.